The British Youth Council's Youth Select Committee has published six reports since its establishment in 2012. Each Youth Select Committee has been coordinated and managed by the British Youth Council and supported by the House of Commons. The first Youth Select Committee, held in 2012, looked at the issue of young people and public transport. They focused on the challenges faced by young people in accessing services, travelling safely and affording them equally. At the end of the inquiry, the Committee produced a report setting out its findings and making recommendations to the Government. The Government then issued a response to the report. Youth Select Committee focus on a curriculum for life. The 2013 Youth Select Committee embarked on a new inquiry into the role of the education system and the national curriculum in equipping young people with the skills for later life. The inquiry looked at the support currently available in schools to develop young people's 'life skills' such as personal finance, political education, and cultural awareness. The responsibility of the education system to equip young people with 'life skills' such as political education, personal finance, and cultural awareness. The current state of 'life skills' provision in schools. The support currently available for teachers to deliver lessons and programmes on life skills. Whether the school education system gets the balance right between academia and 'life skills'. Whether the teaching of 'life skills' should lie within core subjects or as a separate part of the curriculum? How much involvement young people have in shaping the Personal, social, health and economic (PSHE) and citizenship curriculum. How PSHE and citizenship teaching is implemented differently in schools. What the UK government can learn from others about the teaching of "life skills" to young people. The Committee's had a clear mandate to focus on 'A Curriculum for Life', the issue having been voted as the priority campaign of the UK Youth Parliament at their annual House of Commons debate in November 2012. At the end of the inquiry, the Committee published a report and the Government published an official response. The 2014 Youth Select Committee embarked on an inquiry into lowering the voting age to 16, where it will explore the issues and arguments around votes at 16. The Youth Select Committee is a British Youth Council initiative, supported by the House of Commons. The eleven committee members are aged 14-18 and include three Members of the Youth Parliament, one former Member of Youth Parliament, three youth councillors, a representative from the Scout Association and one elected representative from each of the devolved nations. The Committee had a clear mandate to focus on 'Votes for 16 and 17 year olds in all public elections', as the issue was voted as the priority UK-wide campaign of the UK Youth Parliament at their annual House of Commons debate in November 2013 and is an ongoing campaign of the British Youth Council. Should the age at which people are allowed to vote be lowered? Why/why not? If yes, to what age? For what reasons is the voting age currently set at 18? What qualities mean that a person is ready to vote? Do 16 and 17-year-olds possess these qualities? Should the age at which people are able to vote vary between types of election? For example, should the voting age be different for local and General elections? What short term and long term effect would lowering the voting age have on voter turnout? Should the likely turnout of 16 and 17-year-old voters affect the decision on whether to lower the voting age? What can be learned from countries where the voting age is lower than 18 or where lowering the voting age has been proposed? What was the motivation for allowing 16 and 17-year-olds to vote in the referendum on independence for Scotland? What can be learned from this example? What would the practical implications of lowering the voting age be? How effectively does citizenship education prepare young people to vote? How could it be used to prepare young people to vote? What is the best way to engage young people with the political process? The Youth Select Committee published their findings and recommendations at the end of the inquiry. The 2015 Youth Select Committee focused on mental health services, which was chosen by UK Youth Parliament as the priority campaign, following Make Your Mark (90,549 young people voted for it) and the House of Commons Sitting and is highlighted in the British Youth Council's manifesto. The Youth Select Committee report on mental health services was published on Tuesday 17th November 2015 and an official Government response from the Department of Health and Department for Education was issued in January 2016. The 2016 Youth Select Committee examined racism and religious discrimination in the UK. The Committee explored the level and quality of awareness and education in schools, the prevalence of racism and religious discrimination and how organisations and young people are attempting to tackle it, how the issues can be tackled at a local level by communities and how tackling racism and religious discrimination should be approached at a national level by the Government. 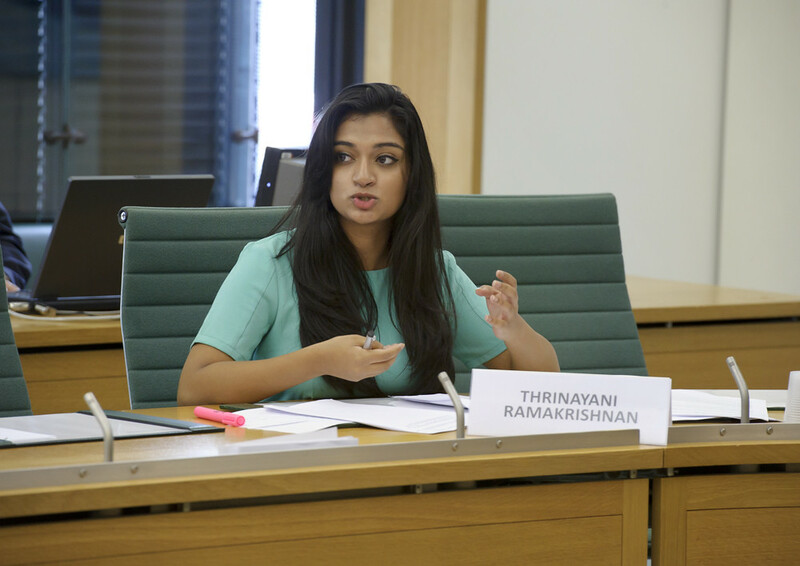 ‘Tackling racism and religious discrimination’ was chosen as one of the top priorities in a ballot of 969,992 young people conducted in 2015, and subsequently became the topic of focus for the Youth Select Committee. The issue was highlighted as a priority once again in a 2016 poll of 978,216 young people, making it clear that the issue is of growing importance to young people living in the UK. The Youth Select Committee published their recommendations to the Government in November 2016. In February 2017, the Government published their response to the Youth Select Committee report. In 2017, the Youth Select Committee investigated body image and the impact it has on the well-being of children and young people. Following the year-long enquiry, the Committee published a report and the Government released a response. In 2018, the Youth Select Committee embarked on an investigation into the barriers preventing young people from accessing work experience. The Committee concluded the Government needed to address the patchy, unequal nature of young people’s access to work experience.